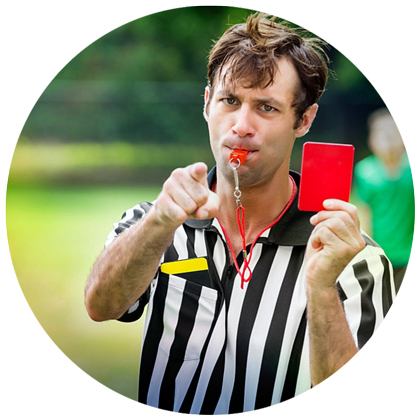 Appoint your referees for your tournaments quickly and easily. Send them an e-mail including the match date, time and venue. In real time, you know who is available to umpire the match. You can appoint more than one referee for the same match. Enjore allows you to easily calculate the number of matches a referee has umpired in a given period of time and generate a report. The software automatically calculates the amount of money to be paid to the referee.